Asking yourself how to set up your Agile knowledge and skills to a new level and/or pursue the path to CSP (Certified Scrum Professional) and do this from the convenience of your home (or office)? As Certified Scrum Master and Product Owner, with more than 6 years in practicing Scrum/Agile and helping organizational transformations I posed these questions to myself. Because busy schedule of everyday routine always makes it hard to find time for further learning and enhancement. 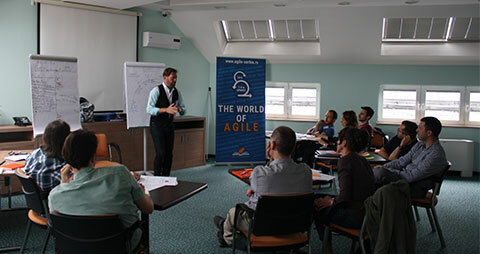 In a meanwhile, kind people from Agile Serbia challenged me with possibility to join a 6-week online A-CSM course, led by Miljan Bajić. 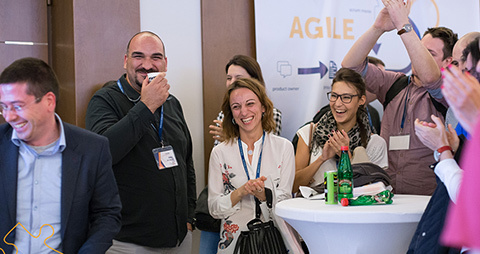 Mr. Miljan Bajić is Scrum Alliance CEC (there is presently 99 of them in the world), seasoned Agile Coach, trainer, facilitator, and consultant. He helps organizations, teams, and individuals collaboratively design systems that combine lean thinking and Agile approaches. Ultimate goal is to deliver maximum organizational effectiveness. The course is meant to use time zones USA EST and European so folks from various places can participate. And they did! There were people from the USA, West Europe, Balkans, making the whole thing more valuable by promoting the sharing of experiences. So, it looked very promising and I joined. How the course was organized and conducted? For collaboration tools, we used the Zoom platform for video conferencing and Trello board as tools. 6-week course was conducted as 1.5h sessions every Monday, with homework tasks for the week and suggested material for reading around homework topics. Coach pulled topics from course backlog every week. Participants should comment them on Trello board and further prepare to discuss them on sessions. Weekly tasks are designed to be done in 4-hours max, intentionally making a light weekly load. If participants find themselves more time during workweek they got support to dive deeper in topics. There were part of the tasks that we should try to implement practically or on our current job. We considered these tasks as the most valuable. This way we got continual 6-week practical learning experience with a very light and adaptable load. Also mentor use to encourage us to communicate, discuss and work on topics out of official sessions. Same as to make informal groups adding extra value to the course. 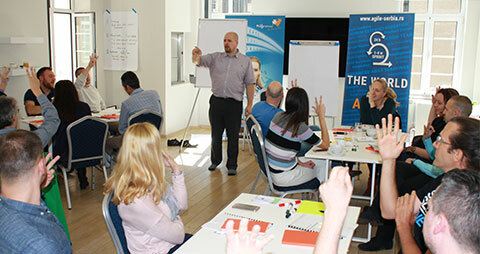 Certified Enterprise Coaches® (CEC) created topics for A-CSM to further develop Scrum knowledge and skills. 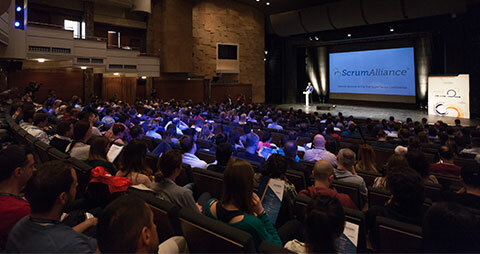 They are intended to both broaden knowledge of the framework and to sharpen specific skills identified as struggle points for Scrum practitioners. The intention is to enhance level of insight and awareness of the Scrum process and develop better practical prepositions overall. Whether for yourself as a facilitator and your team/organization to overcome impediments and accomplish results. Facilitative listening techniques (e.g. paraphrasing, mirroring, making space, stacking, etc.) for effective meetings/events and apply at least two of them. Countermeasures to reduce the impact of different challenges facing a self-organizing team (e.g. bad forecast, technical debt, someone is leaving the team etc.). Methods for improving team performance (e.g. goals/purpose, shared accountability, a working agreement, psychological safety, etc.). For Scrum Scaling, there were presentation and discussion of different models (SAFe, SoS, LeSS, S@S) and when to scale and when not. For organizational transformations: discussion of Integral Agile Transformation Map with Lalux Culture model; use it to estimate the status of agility in an organizational structure and identify paths to improve. And to observe and orient yourself as Agile-Lean Practitioner – offering Agile Coaching Competency Framework a model to estimate competency in various knowledge and skill areas. For example, Teaching/Mentoring, Professional Coaching/Facilitating and in Technical/Business/Transformational Masteries. What are takeaways? What are the benefits? If you can organize your schedule for 6-week, try this type of course as benefits are obvious: you will broaden your knowledge and sharpen your skills in a more quality way. 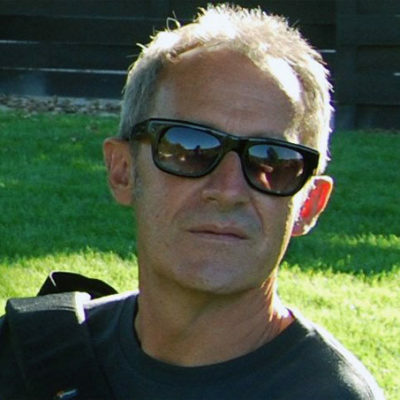 Kojić Nebojša has vast experience in software engineering, software quality assurance, and product leadership. He enjoys helping organizations in achieving Agile transformation. He is CSM, CSPO, A-CSM certified (Scrum Alliance) and member of Agile Serbia community.